An air dry bag with over 5 kilo capacitity. Complete with a free hook bait air dry bag. Larger than a standard net safe. Especaily designed for our landing nets with 60 inch & 72 inch arms. 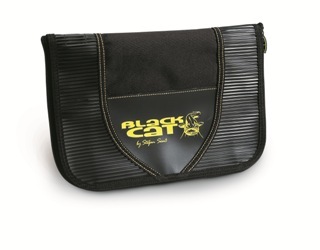 The name says it all: with its three large external accesory pockets, the Tackle Store offers optimal convience for storing frequently used small parts. Ideal for storing everything you need to keep within arms reach. Ketal clips on the shoulder strap provide the necessary stability for transporting heavier loads. The robust tarpaulin material and waterproof zips provide optimal protection against the weather and other influences.